The Potato Processors’ Association (PPA) is the trade association for the UK manufacturers of frozen chips and potato products, potato crisps, potato based snack products and dehydrated potato. While the PPA are a long standing company, their web presence was limited to various references on other sites. We were commissioned to create an all new responsive website that would showcase the work and services carried out by the organisation. A vector based diagram was also required to show the structure of the various organisations. 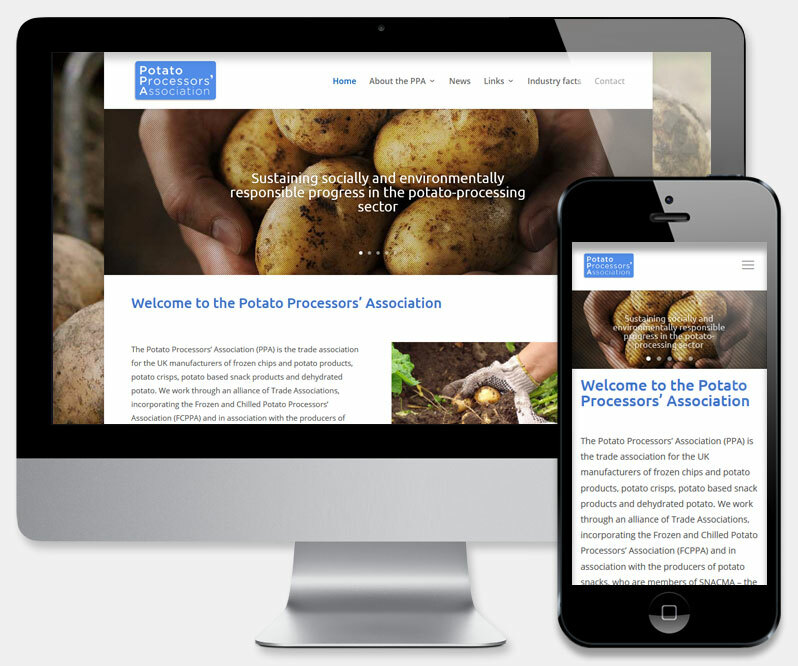 The new Potato Processors' Association website is built on the latest WordPress CMS. Optimised content ensures that the site is super fast, mobile responsive, easy to use and easy to maintain and our supplied training enables the PPA to take care of future site content updates as well as the option to add additional pages. In conjunction with an affordable hosting package and 9-5 technical support, this ensures that the site will be well cared for in the future!